You need a set of replacement or new windows to place on your home. Why not go with the very best? Purchase Title 24 Approved Windows that are in stock at Intex Windows & Doors. You'll want something that will last long and stand up against the elements. Fortunately, they have been designed with the ultimate thermal protection in mind. You can keep as warm or cool in your house as you want, by making it so that the air conditioning and heat cannot escape. No matter what climate you live in, this is a clear advantage that you will are sure to treasure. We carry Milgard as one of our top brands. We know that you will appreciate the craftsmanship that goes into each and every product of theirs that we sell. 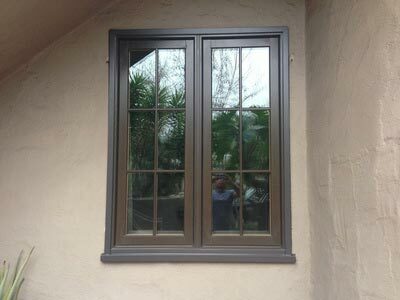 One of the best sellers is the Tuscany Series of vinyl Title 24 Approved Windows. They are crafted from high grade vinyl and glass, so that you don't have to worry about them breaking or developing cracks. The Tuscany vinyl window has been designed with security in mind – made with tough glass and hardware options that you can customize, it's sure to be a great choice for your family. It comes with a SmartTouch lock that allows you to have an even higher level of security than ever before. You also have the luxury of being able to use the full lifetime milgard tuscany glass breakage warranty in case the glass does break or otherwise becomes damaged or does not perform as it should. Your patio is likely a source of pride for your family. If you enjoy spending warm nights and days out on it, having a barbecue or just a peaceful moment, it's a good idea to have beautiful Patio Doors Los Angeles. For a unique appearance and something that will bring a wonderful new touch of style to your home, consider the folding nana walls that act as doors. They can be custom designed to fit where you want. Call and talk about the nearly limitless possibilities that are open to you when you shop from Intex Windows & Doors.